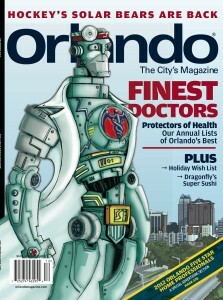 The Center for Digestive Heath has been featured on Orlando Magazine‘s “Finest Doctors” list. The article tells the story of the Center’s founding in 1982 and how it has grown to a five physician practice with six offices and a state-of-the art surgical center. To read the full article and learn more about the Center’s services, please click here or on the magazine cover. © Copyright 2013. 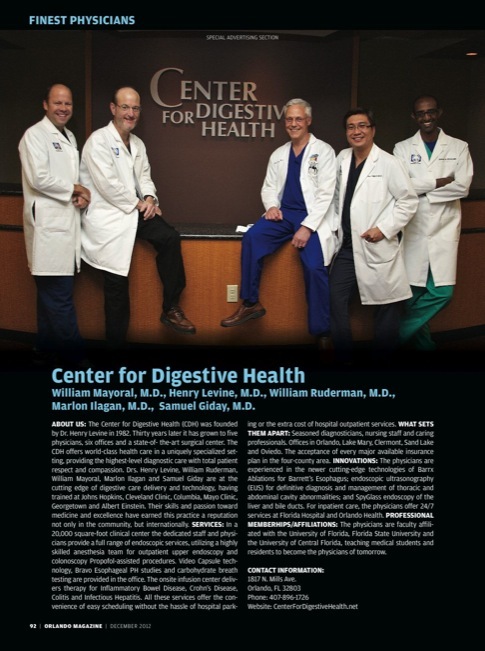 All Rights Reserved Center for Digestive Health.